There are a lot of augmented reality apps out there, some even worthwhile. Not all, however, are this practical. When you’re shopping for a new watch (which people do, I understand), it’s not always easy to tell how it’s going to look on your own wrist. How big is it, exactly? Does the face look cool upside-down? Will that silver color clash with the blue of my veins? Important questions all. Don’t worry, though. 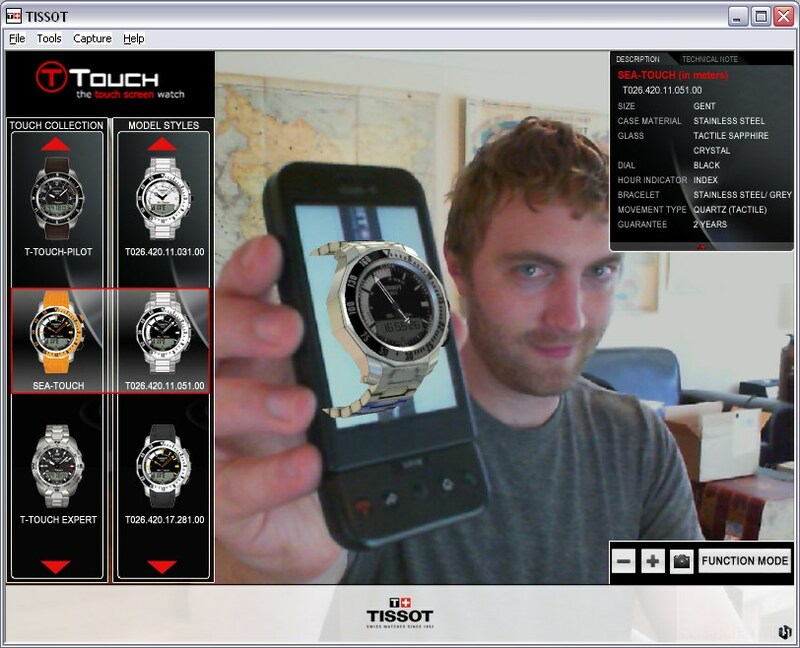 Tissot has your back with this new augmented reality app. Hmm. I wish I could tell you a little more about how well this app works, but I haven’t had a printer for like five years, and so cannot print out the little paper watch you need in order to interact with the app. Wait, maybe if I…. Yes, it worked! Can’t really tell much about how it would look on my wrist (the G1 kept falling off when I tried to balance it) but that’s pretty funny. You too can do it, if you feel like downloading the 82MB (!) app. Eh, why not?